A Chuch picnic isnt a real church picnic without a…*drumroll* PIE CONTEST! See, there was a sign, it was very official. 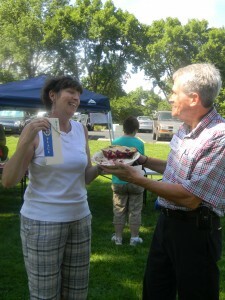 I did not have the privilege to be part of the pie making contest, so I was there to root on my boyfriend’s mom, Sue. Plus I wanted to let Sue have her time in the spotlight, I didn’t want any family animosity if I had to beat her..(I sure hope youre finding humor in this Sue, or Thanksgiving dinner may be awkward..) Anyhoo there was some stiff competition this year and of course whispers at the pie table, glaring eyes, revenge plots, you know, the usual church competition. 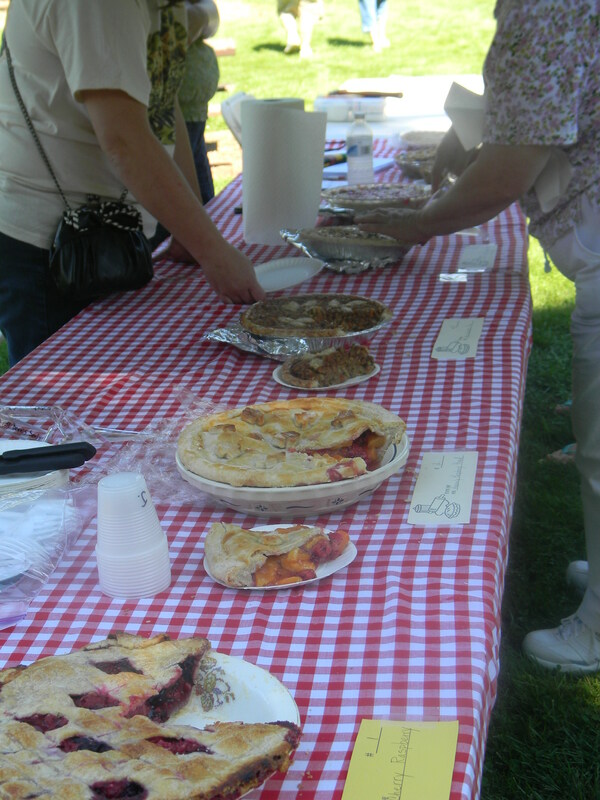 After stuffing our faces with everything within our reach, the judges announced we were allowed to sample pies and await award announcements. I darted to try me some pie! There were some delicious choices, however, Sue’s stood out. I even tried candy bar pie, thinking, what could possibly be wrong here! It was tasty no doubt, but the combination of cherries and raspberries in a buttery flaky crust was very refreshing on the crisp summer afternoon! The judges agreed. Sue won! Hooray! 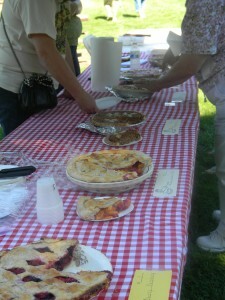 I was able to get some tid bits from Sue on her prized pie! What made you pick this recipe? I love cherry pie and thought the raspberry would add something different. Was this the first recipe you picked or was there some trial and error? I had found this recipe last year, but went with peach blueberry because my dad liked peach better – only won second place last year – still VERY respectable, but, of course wanted 1st. Anyway, this year I just knew that I would make the cherry. I have tried a different crust every year – not really thrilled with any of them. This year I got this recipe from a girlfriend’s mother. I just knew that this one was the very best!!! I know thatI won the contest because of the crust!! Were you confident it’d be a winner? 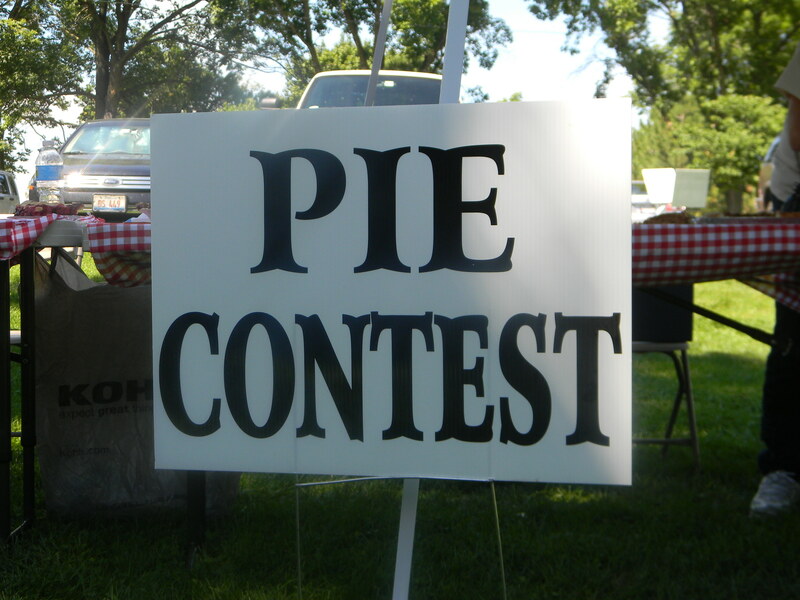 I knew that it was a good pie and the crust was exceptional, but there is one man that I have been competing against and I am always afraid of his pies! 🙂 They are beautiful and very tasty. Were you happy with the results? I was happy. I do wish that I could make a pie that is prettier. I am still working on a lattice and Danielle has already said that she would help me with it. Now I am on the look out for a new pie to try. I will stick with my crust, tho – no changes there!! Any suggestions for making the perfect pie? (Crust, filling, etc) The crust is the big thing, but I always try to fill the shell more that what the recipe calls for. I made 1 1/2 times the filling for the pie that won. There ya have it folks, its all in the crust! Congrats again on your win! Welcome back to the bloggy world! It’s GREAT to see you again! 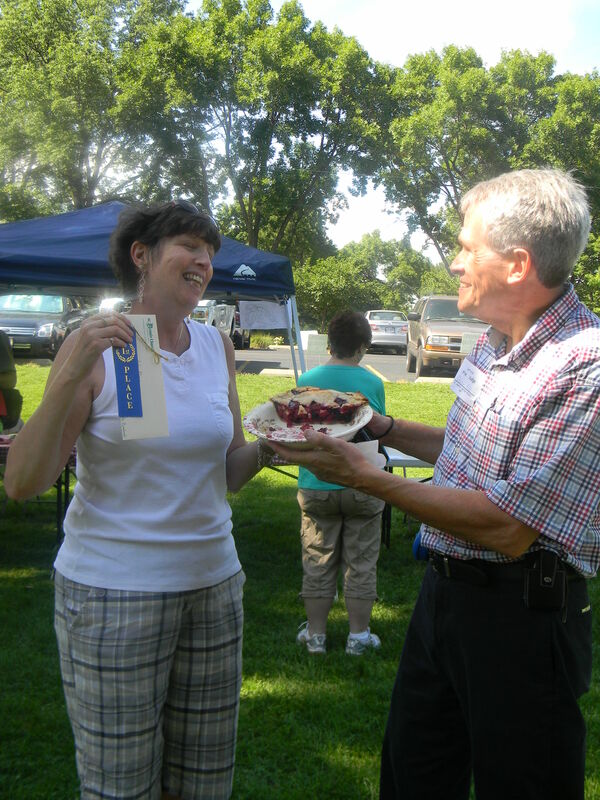 I LOVE that Sue won the pie contest…and your recipes for part 1 were amazing! Missed you! Thanks for mentioning me!! Now I feel like a star!!! So, when can we get together and try a lattice crust?? 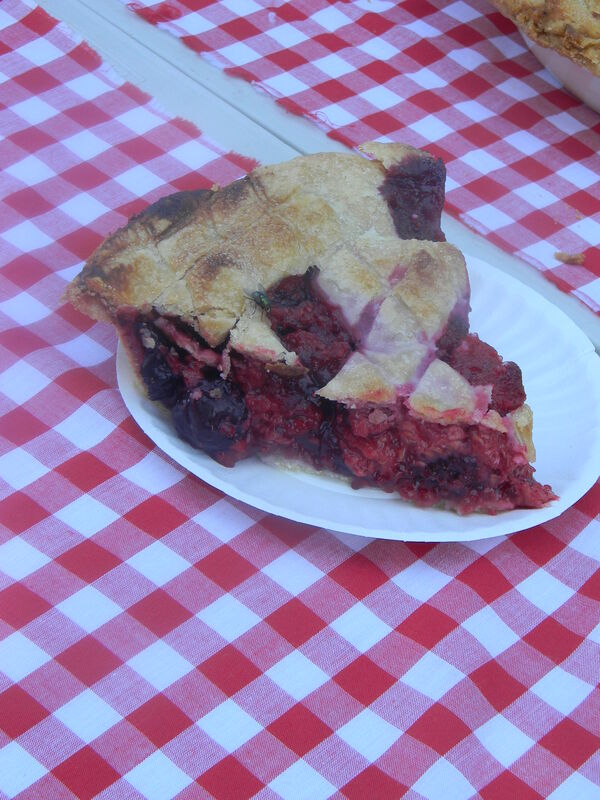 That is one fine looking pie (cherry pie is my absolute favourite…). 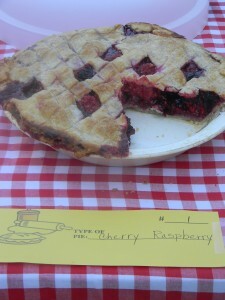 Lattice tops are so pretty and, I agree, it’s all in the crust! Cheers, k.
Wowee! Sue, you did not tell me you won. Grats to you! Danielle, I love your blogging regarding the whole event!